Viking society had several different tiers, ranging from the king, through to powerless slaves. Each person had a defined role in a society defined largely by wealth. The highest section of Viking society was the king and the royal family. The king was the highest power in the land, and it was he who had the power to redistribute wealth lower down the social scale. As in many European countries, the king routinely traveled around his lands, reaffirming the loyalty of his subjects and allowing people to see him. The king had dozens of men who served and protected him. During the medieval age, life in Viking society could be short and dangerous. The monarch had a hird, which was an army of soldiers housed in the vicinity of the royal residence, kept specifically to keep the king safe. 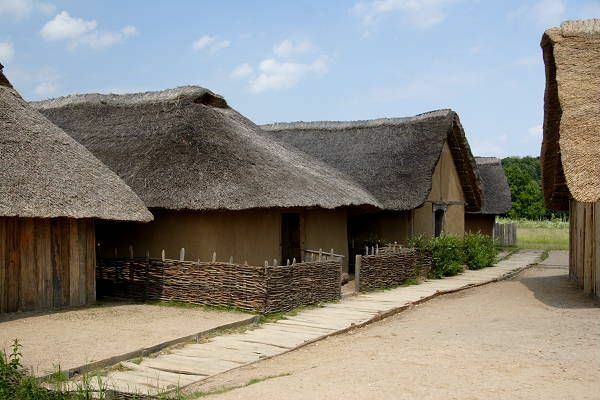 He was also cared for by servants who kept the stables, maintained his fleet of ships, something which was essential in a culture based heavily on ocean-going, and also a scald, a traveling poet who wandered the countryside telling tales of the good deeds of the king. The jarls were the next tier in Viking society, and it was this group of aristocratic men who held most of the wealth after the monarch. Jarls oversaw huge estates, which were leased to tenant farmers, and could demand taxes, which made up much of their wealth. As well as working on the land, Jarls had the responsibility of attending the Thing, a public assembly which was part of the Viking system of law and order, and were also expected to train warriors for battle in times of war. If the country was under threat, the Jarl would be expected to bring out a band of trained men in support of the king. The Bondi formed the largest section of Viking society, a group of land-owning men, ranging from wealthy owners of vast-ranging estates, to smaller-scale farmers. Each member of the Bondi, however rich or poor, was entitled to attend the Thing and have a voice in the running of his region. It was possible for a member of the Bondi to better himself through hard work, and through personal connections with important men. In times of piece, families were able to improve their prospects by buying and selling goods and tending their estates. The Thrall was the lowest section of Viking society, and was made up of male and female slaves belonging to a master. A thrall could legally be beaten to death by the person who owned him, and thralls of both sexes worked on the land, sea and were traded in slave markets. A child born to a thrall was automatically enslaved. The life quality of a thrall depended entirely upon the family who employed him or her. An enlightened master might allow a thrall a small amount of free time for leisure, or even to earn freedom after a number of years. A loyal and trusted group of thralls might run an estate during the temporary absence of a master. Slavery was an essential part of the Viking way of life, and raids were regularly carried out on land and sea, in order to capture more slaves to use or sell. In a world where attacks were regular, and brute force was often a way of gaining power, people were anxious to get on within Viking society by whatever means, even at the expense of taking another person from their family and community.